Abu Faraj al-Libi is a Libyan national. He was captured by Pakistani special forces in Mardan, Pakistan, on 2 May 2005, and transferred to US custody within days. US authorities claim that he was the operational chief of al-Qaeda and had long term associations with Osama bin Laden and Dr Ayman al-Zawahiri. They claim that he managed al-Qaeda operations, including in Iraq, after Khaled Sheikh Mohammed had been captured. Al-Libi was initially held in Pakistani detention, although CIA records cited by the SSCI report show that the CIA began discussing his rendition to CIA custody on 6-7 May 2005. Al-Libi was eventually rendered to the CIA-run DETENTION SITE ORANGE in Afghanistan on 24-25 May 2005, and almost immediately rendered on towards Romania, where he was held at DETENTION SITE BLACK in Romania. The Rendition Project and Reprieve have identified a rendition circuit that took place on 25-26 May 2005, involving two aircraft, that was almost certainly the circuit on which al-Libi was transferred to Romania. An aircraft operated by Colt International, with tail number N450DR, transferred al-Libi from Kabul to Amman, Jordan. This was met on the tarmac by a second aircraft with tail number N308AB, operated by Prime Jet, which then flew al-Libi to Romania. Click here for our analysis of the flight data and documentation associated with al-Libi’s rendition from Afghanistan to Romania. On 6 June 2005 Pakistani authorities confirmed that he had been transferred to US custody. "The CIA interrogated Abu Faraj al-Libi for more than a month using the CIA's enhanced interrogation techniques. On a number of occasions, CIA interrogators applied the CIA's enhanced interrogation techniques to Abu Faraj al-Libi when he complained of a loss of hearing, repeatedly telling him to stop pretending he could not hear well. Although the interrogators indicated that they believed al-Libi's complaint was an interrogation resistance technique, Abu Faraj al-Libi was fitted for a hearing aid after his transfer to U.S. military custody at Guantanamo Bay in 2006. Despite the repeated and extensive use of the CIA's enhanced interrogation techniques on Abu Faraj al-Libi, CIA Headquarters continued to insist throughout the summer and fall of 2005 that Abu Faraj al-Libi was withholding information and pressed for the renewed use of the techniques. The use of the CIA's enhanced interrogation techniques against Abu Faraj al-Libi was eventually discontinued because CIA officers stated that they had no intelligence to demonstrate that Abu Faraj al-Libi continued to withhold information, and because CIA medical officers expressed concern that additional use of the CIA's enhanced interrogation techniques "may come with unacceptable medical or psychological risks." It is likely that al-Libi would have been held in Romania for several months until the prison was emptied, and he was transferred on board one of the flights out of Romania in October and November 2005, to Lithuania or Afghanistan. Very little is known about the fate and whereabouts of al-Libi and the other ‘High-Value Detainees’ after their time in Romania. Most were likely moved during 2005, with evidence pointing towards Lithuania and Afghanistan as the final detention sites before their final transfer out of secret detention in September 2006. Click here for an analysis of where the ‘High-Value Detainees’ – including al-Libi – may have been held during 2005-2006. DoD records document that al-Libi was transferred out of the CIA’s secret prison network and into US military detention in Guantánamo Bay on 4 September 2006, alongside the other HVDs in custody at that time. In the case of some other HVDs, however, CIA records state that they were transferred a day later, on 5 September 2006. Regardless of these inconsistencies in records, it does appears that all HVDs were moved out of CIA custody and transferred to Guantánamo Bay on 4 September or 5 September 2006. This final transfer was announced by President Bush, as part of a wider disclosure about the CIA’s use of secret prisons. 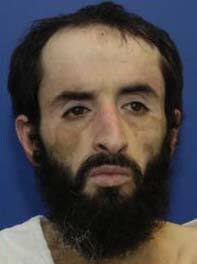 Al-Libi remains detained in Guantánamo Bay.